What is an Intra-Workout Supplement? What Are the Ingredients in an Intra-workout Product? What Are the Benefits of Intra-Workout Products? Who Can Benefit from Intra-workout Supplements? How Do I Take an Intra-Workout Product? Are There Any Side Effects of Intra-Workout Products? How Do I Pick a Good Intra-Workout Product? 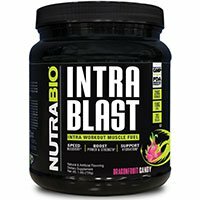 Intra Blast by NutriBio is an amino acid powerhouse, containing over 10g of 9 essential amino acids, to promote muscle development and avoid soreness. This nutrient-rich formula also contains glutamine and betaine to quickly replenish energy stores, speed-up recovery and promote hydration. Intra Blast is without question one of the most advanced intra-workout formulas on the market. Who makes it: Intra Blast is produced by NutraBio, a US-based manufacturer of nutritional supplements that was established in 1996. NutriBio is committed to producing high-quality, effective products using the best raw ingredients. NutraBio is committed to transparency, so what you get is what you see on the label, and nothing else. 25g carbo triplex blend, consisting of maltodextrin, cluster dextrin and waxy maize. 1170mg electrolyte blend, consisting of potassium chloride, sodium chloride and more. 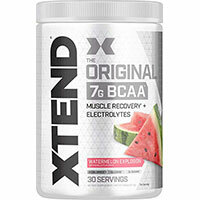 7g BCAAs (2:1:1 ratio), consisting of 5g leucine, 1.75g isoleucine, and 1.75g valine. Who makes it: Xtend is made by Scivation, a company dedicated to “building better bodies through science and innovation”. Scivation develops, manufactures and distributes a wide range of fitness supplements. They take care in the development stage to create truly high quality and effective supplements that can help their customers reach (and exceed) their fitness goals. 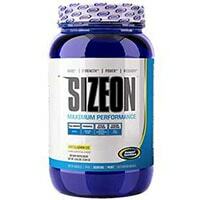 SizeOn Maximum Performance is a powerful intra-workout and recovery supplement made by Gaspari Nutrition. Combining protein, BCAAs, amino acids, creatine and more into one product, Gaspari has come up with a truly unique formula. Protein synthesis acceleration matrix, consisting of whey protein hydrolysate, leucine, isoleucine, valine, and more. PhosphoDrive endurance complex, consisting of creatine monohydrate, magnesium creatine chelate and disodium creatine phosphate. OsmoDrive advanced hydration complex, consisting of taurine, potassium, calcium, sodium, and more. Who makes it: SizeOn Maximum Performance is made by Gaspari Nutrition. Since 1998, Gaspari has been in the business of building better supplements to help customers build better bodies! Combining unique formulas with innovative new ingredients and techniques, Gaspari Nutrition is on the cutting edge of exercise science. 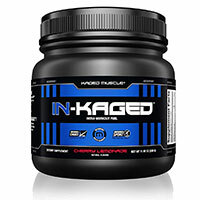 In-Kaged by Kaged Muscle has a unique formula that combines Muscle Fuel Matrix BCAAs in a 2:1:1 ratio to avoid muscle muscle catabolism, Endura-Pump Matrix with L-Citrulline for nitric-oxide support, and Neuro-Energy matrix containing L-Tyrosine for a cognitive boost. In-Kaged doesn’t leave anything to chance – it provides concentrated doses of all the essential nutrients your body needs, helping you to work out harder for longer. Who makes it: In-Kaged intra-workout formula is produced by Kaged Muscle, a California-based athletic supplements company. Kaged Muscle is an award-winning producer of pure, superior-quality nutritional supplements for any level of athlete. Amino Build Next Gen claims to boost strength by up to 40%. This power-product is designed for everyone, from exercise enthusiasts, to high-performance athletes. The key ingredient in this intra-workout formula is micronized BCAAs in an effective 2:1:1 ratio, to promote lean muscle growth and recovery. Amino Build Next Gen Intra-Workout also includes a Cell-Volumizing and Recovery Complex, a Strength Enhancing Compound and an Electrolyte Blend to provide your body with everything it needs to smash that next goal. 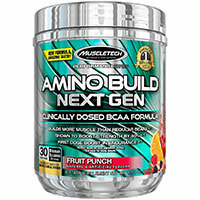 Who makes it: Amino Build Next Gen Intra-Workout is made by MuscleTech, a manufacturer of premium-quality dietary supplements founded in 1995. Its mission is to create and provide the most effective, scientifically-advanced products, to help you to build muscle, lose weight and achieve your goals. 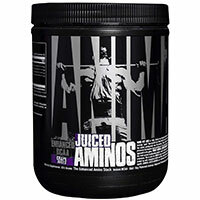 Who makes it: Animal Juiced Aminos is produced by Universal Supplements, a US nutritional supplement manufacturer that was founded in 1977. Universal aims to provide great-quality athletic nutritional supplements at competitive prices. 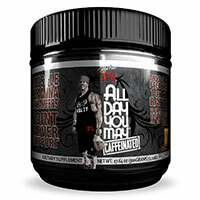 ALLDAYYOUMAY is made by Rich Piana’s 5% Nutrition. This product is formulated to give you a muscle-building boost at any time of the day, and works great as either an intra-workout or a post-workout supplement. 6g BCAAs in a 10:1:1 ratio. Includes 5g leucine, 500mg isoleucine and 500mg valine. 2.8g amino acid blend, consisting of cysteine, glutamine and carnitine. 960mg amino acid support blend, consisting of coconut water extract, bromelain, taurine and more. 1.5g Intra-cellular buffer blend, consisting of creatinol-o-phosphate and beta-alanine. Who makes it: ALLDAYYOUMAY is made by 5% Nutrition, a large fitness supplement company founded by legendary bodybuilder Rich Piana. The company aims to provide the hardest-working athletes with the tools they need to find success. 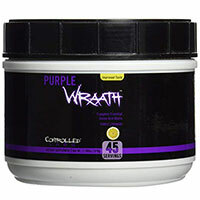 Purple Wraath is a powerful intra-workout supplement made by Controlled Labs. Packed with BCAAs, amino acids, beta alanine, citrulline malate and much more, Purple Wraath targets multiple aspects of performance and recovery to offer a well-rounded product. 7g PurpleEAA complex (amino acid complex), consisting of leucine, isoleucine, valine, arginine, and more. PurplEndurance complex, consisting of beta alanine, citrulline malate, ginger and more. Who makes it: Purple Wraath is made by Controlled Labs, a New York-based manufacturer of fitness and health supplements. Controlled Labs focuses on using proven ingredients to create effective and affordable supplements. 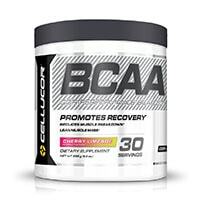 Cellucor’s COR-Performance BCAA blend is a great option for an intra-workout formula. During intense exercise, your amino acid stores become depleted, which can contribute to muscle catabolism. Every scoop of COR-Performance BCAA contains 6g of branched chain amino acids, to provide these essential building blocks of protein to your body right when it needs them most, to boost performance and accelerate recovery. Who makes it: COR-Performance BCAA is produced by Cellucor, a nutritional supplements manufacturer from the life sciences company, Nutrabolt. Cellucor has an excellent reputation for providing quality products and outstanding customer service. 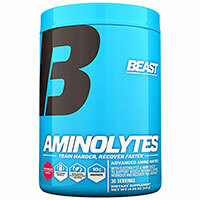 Aminolytes is an effective and simple BCAA/intra-workout supplement made by Beast Sports Nutrition. Combining hefty doses of BCAAs, essential amino acids, electrolytes and more, Aminolytes supplies your body with the tools it needs to hit the gym hard and find success. 6g BCAAs, consisting of leucine, isoleucine and valine. 8g amino acid blend, consisting of lysine, beta alanine, methionine and more. This blend provides many essential amino acids plus beta alanine. 25g electrolyte blend, consisting of sodium phosphate, potassium phosphateand magnesium phosphate. Who makes it: Aminolytes is made by Beast Sports Nutrition. This award-winning supplement manufacturer has more than 20 years of experience in developing high quality supplements and health products. Like the name suggests, intra-workout supplements are products designed to be taken during your workouts. They aim to increase your performance and extend your endurance, allowing you to lift more, run faster, etc. as well as spend a longer amount of time exercising. Many intra-workout products also include ingredients to kick start your recovery, even before you’re finished exercising. There are several types of intra-workout supplements, and some that combine multiple aspects to create more versatile blends. Most intra-workout drinks target the various aspects of intra-workout nutrition, providing ingredients to keep you fueled (energy), performance enhancing supplements to help you achieve more at the gym, and amino acid supplements to protect your muscles and get a jump-start on recovery. Most of these products come in powder form and must be mixed with water or milk and consumed just before or during your workout. For convenience, we recommend using a BlenderBottle to mix your supplements to take during a workout. This will help you keep your shakes mixed up at the gym, so they don’t clump up. Amino acids (especially BCAAs) – Amino acids are often added, either in protein powders or as isolated amino acid supplements. Amino acids play many roles in the body, but are particularly important for building muscle. Branched chain amino acids, or BCAAs, play a vital role in protein synthesis and the building of muscle tissue. Supplements containing amino acids can help you extend your workouts, and get a jump-start on recovery. Creatine – Creatine is one of the most commonly used performance enhancers. Known for its ability to improve athletic performance and help you lift more weight, creatine is a common ingredient found in intra-workouts. Beta-alanine, best known for its ability to improve short-term muscle performance is also commonly added. Carbohydrates – Carbohydrates, or carbs, are an essential part of these supplements. Carbs are a great source of natural energy. They are digested quickly and converted into glucose, one of the body’s prefered sources of energy. Intra-workouts use fast-digesting carbs, such as maltodextrin, that are digested rapidly, providing immediate energy for your workout. Electrolytes – Often, electrolytes such as magnesium, potassium, etc. are added to these supplements to improve hydration. Electrolytes help you stay hydrated, which can help increase the length of your workouts while protecting your body from dehydration and over-exhaustion. A primary goal of intra-workout supplements is to support endurance for longer workouts. Each formula is different, but there are some commonly used ingredients that may be beneficial in supporting athletic endurance. Carbohydrates like maltodextrin help to provide immediate energy for exercise. Carbohydrates are essential for muscle glycogen, the primary fuel source used during exercise. The powdered carbohydrates used in intra-workouts are designed to be absorbed and digested quickly for rapid energy. BCAAs are also beneficial for endurance. One study reported that research participants given BCAAs reported 15% less fatigue than the control group. Another gave BCAAs to participants before exercise and noted a 17% increase in exercise duration in the group given supplements. Other studies have verified these findings, with one clinical trial finding that cyclists given BCAAs cycled for 12% longer than the placebo group. Intra-workouts are also designed to help support and improve exercise performance. This is achieved through a number of different ingredients – and again, every formula is different. L-citrulline is a common addition. The amino acid has been shown to enhance performance, with one study showing a 1.5% reduction in time spent completing a cycling test. Creatine is another important addition. Creatine is one of the most studied and most effective performance boosters. One 2003 research review found that creatine supplementation increased strength by 8%, weight lifting performance by 14% and single-rep max on the bench press by up to 43%. While these results may seem too good to be true, keep in mind that creatine is extremely well studied – and very effective. In fact, Examine.com notes that creatine is among the most effective supplements in any category! With that said, it’s unclear whether taking creatine during a workout is any better or worse than taking it beforehand. Many experts say that timing is not very important for creatine. Branched chain amino acids are a key addition. Several studies (1, 2, 3) have found that BCAAs help to reduce muscle soreness after exercise. BCAAs also improve performance in repeat strength tests 24-48 hours after initial exercise by up to 20%. This indicates that BCAAs may speed the recovery process and help muscles repair more effectively. Protein powders and other amino acids may also be beneficial for recovery. Intra-workout supplements may benefit some athletes and fitness enthusiasts. However, they are no replacement for proper pre- and post-workout nutrition. You should always ensure you’re getting enough nutrients from dietary sources, and only use these intra-workouts in addition to a healthy diet. Strength Trainers – Strength trainers, weightlifters, bodybuilders, etc – basically, anyone who spends a lot of time at the gym will see the most benefit from taking an intra-workout. These supplements are designed to improve the quality of your workout, and extend your endurance – and therefore improve your results. If you want to be able to exercise for longer periods of time, or want to improve your performance, try one of these supplements today. Athletes – Athletes, runners, and anyone who regularly does strenuous endurance activities can benefit from taking an intra-workout drink. Better performance, more energy, and improved recovery – what’s not to like about that? Men and Women – Both men and women can greatly benefit from these supplements. intra-workout supplements for men will be pretty much the same thing as intra-workout supplements for women, as there are generally no gender-specific ingredients used. For those that exercise for 1-2+ hours at a time, you should take a dose of the supplement about one-third of the way through your workout. So, in a typical 90-minute workout, you should drink your shake at about the 30-minute mark.You should take it before you begin to feel tired. If you wait until you’re already getting tired, it won’t be as effective because it takes a while to kick in. Again, we recommend that you use a BlenderBottle to mix your shake up at the gym. Otherwise, you’ll be dealing with a clumpy mess! As for dosing/serving size, you should ALWAYS take the recommended dose. Check the product packaging for the serving size and recommended dosage amount. Do not take more than recommended unless you talk to a doctor first! Many intra-workouts include beta-alanine, which is known to cause a slight tingling sensation on the skin shortly after it’s consumed. This is completely normal, and completely harmless, but it’s good to be aware of. Once your body gets used to beta-alanine, you likely won’t experience this sensation any more. Creatine, a common ingredient found in these supplements, can cause minor bloating in some people. This is because creatine makes your muscles retain more water – which is one of the main reasons it works so well as a performance enhancing ingredient. However, this extra water weight can feel like bloating to some, and you may experience some temporary water weight gain. It will all go away when you stop taking creatine. Those are the two common side effects reported, but others are possible. More severe side effects can occur if you take more than the recommended serving size. NEVER take more than instructed! Note: We do not recommend taking any supplements featured on this website without speaking with a doctor first! Included ingredients – First, take a close look at what is in each supplement. Does it include carbs, BCAAs, creatine, etc? If so, in what quantity? Compare and contrast the various products and the individual formulas of each. Value for Money – While you don’t necessarily want cheap intra-workout supplements, you want to find a product that fits your budget. When you’re comparing multiple options, do the math and figure out the per-serving cost of each. In general, for a high quality intra-workout supplement you should be paying between $0.75-$1.50 per serving, depending on what’s in it. Brand recognition – Pay attention to who makes the product, and what their reputation in the community is. You’ll want to find products from good, trustworthy companies. All 10 of our recommendations above come from very reputable and quality companies, but if you shop elsewhere be sure to do your own research. Taste/texture – Since you’ll be taking these supplements often, you should try to find one that tastes good and mixes well. Obviously this can be a bit difficult without actually trying the product for yourself. Reading user reviews can help, as it gives you an idea of how the general public likes the taste of various products. We all know that when it comes to being healthy and staying fit, exercise is a key factor. Obviously, diet plays a huge role as well, but if you’re trying to build the body of your dreams, you will definitely have to spend a good amount of time at the gym. Following a regular exercise routine can be difficult to begin, but once you get in the habit, it’s easy to maintain. Once you’ve established an exercise plan and developed a good habit of hitting the gym regularly, the next step is to do what you can to increase your results and exercise better, faster, and smarter. One of the easiest and most accessible ways to improve the results you see from your efforts at the gym is to add supplements to your diet. If you’re considering adding a intra-workout supplement to your diet, we recommend picking one of our top recommendations and giving it a try. We think you’ll be pleasantly surprised at the results you see!